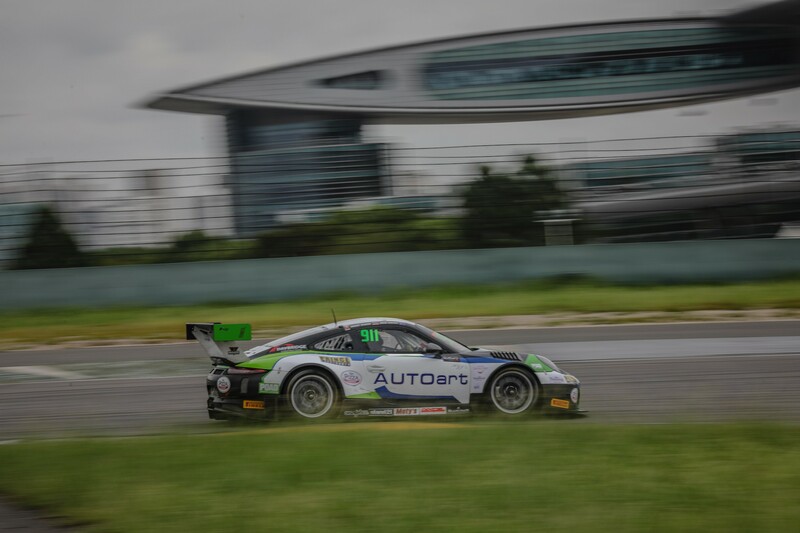 The fifth round of the Blancpain GT Series Asia took place at the Shanghai International Circuit, which also hosts the F1 Grand Prix. 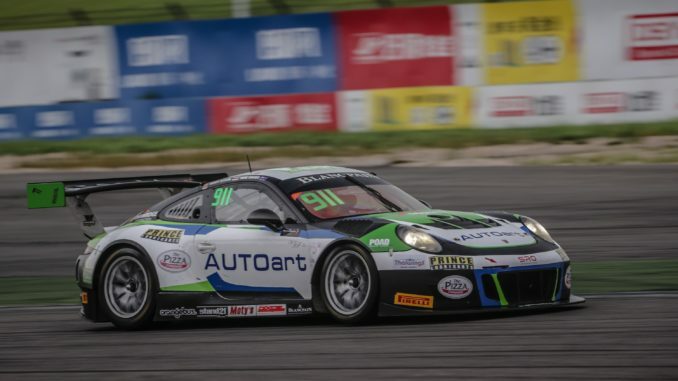 Sandy Stuvik took pole position in the damp conditions last year, so the Thai driver was excited to see what he could do at the beautiful Chinese circuit. Shae Davies took to the circuit for Qualifying 1, where he secured 11th position but his lap time was deleted due to track limit infringements. This demoted the Aussie-Thai duo to 22nd on the grid for Race 1. After a stellar start to Race 1, Shae fought hard and brought the #911 Porsche GT3 R up to 9th position. At that point the Thai driver took over and after a consistent stint, Stuvik brought the car to the finish in 9th position. Sandy Stuvik went out for Qualifying 2 and managed to secure 14th position in the competitive field. A setup change during the qualifying session was made to boost the Thai driver’s performance, but no gain was found. The Thai driver took the start for Race 2 from 14th position and managed to get up to 8th position until he was pushed wide and off the circuit. After recovering, he found himself in 16th position. Shae Davies took the wheel after the pit-stop and had good pace and could catch the slower cars in front. The Australian driver was relentless and could propel the Porsche up to 8th position to take the checkered flag. “Two points finishes this weekend with P9 in Race 1 and P8 in Race 2 means we kept our target of getting points despite our difficulties with the car on this circuit. Now we are focusing our efforts to the final round in Ningbo.” Sandy says. The next and final round of the Blancpain GT Series Asia will take place at Ningbo Speedpark on October 13-14.